curriculum and instruction to assessment and continuous improvement. It’s not easy. But you can do it. And we’re going to help. 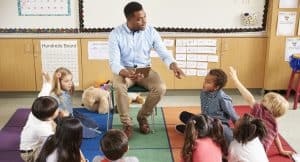 In this blog post, we’ll guide you through how to prioritize the SEL skills that are most important in your community, and break down sometimes overwhelming models of SEL into specific teachable, and measurable skills. It all starts with picking a broad model that resonates with your community, such as the CASEL model, and engaging the team as we describe below to identify the top priority skills reflected in that model. Regardless of what model you start with, it’s helpful to think of SEL as the thinking, behavioral, and self-regulation skills children need to interact effectively, make and maintain relationships, achieve social goals, and be successful in school and life. This definition is broad and flexible. You can use it to categorize each of the specific high-priority SEL skills you’ve identified as thinking, acting, or regulating skills. 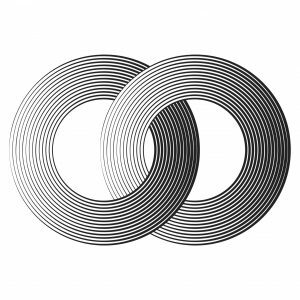 Doing so will greatly simplify the task of identifying the right assessment for the job. 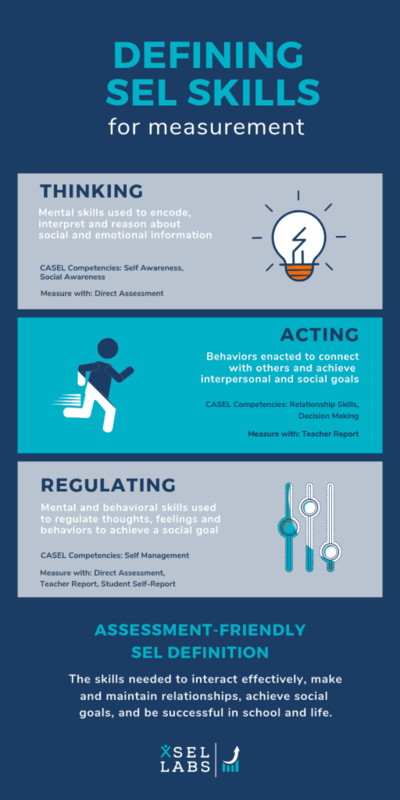 This infographic has more information about thinking, acting, and regulating, and the implications for assessment. Okay, you say, I buy it. We should be really clear about what aspects of SEL matter most to us. How do I get there? Here are steps your team can take to be clear about what SEL is, along with a worksheet to guide your discussion. Select the team responsible for coming to clarity about what SEL skills are most important for your students to develop. Start with a “big-tent” model of SEL, such as the CASEL model. 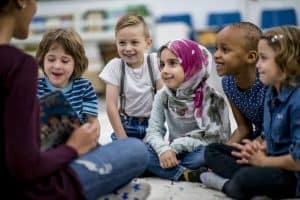 If you are in a state with SEL standards, start with those standards. Ideally, this model should contain everything you think is important and then some. It will provide a menu from which to choose specific high-priority skills. 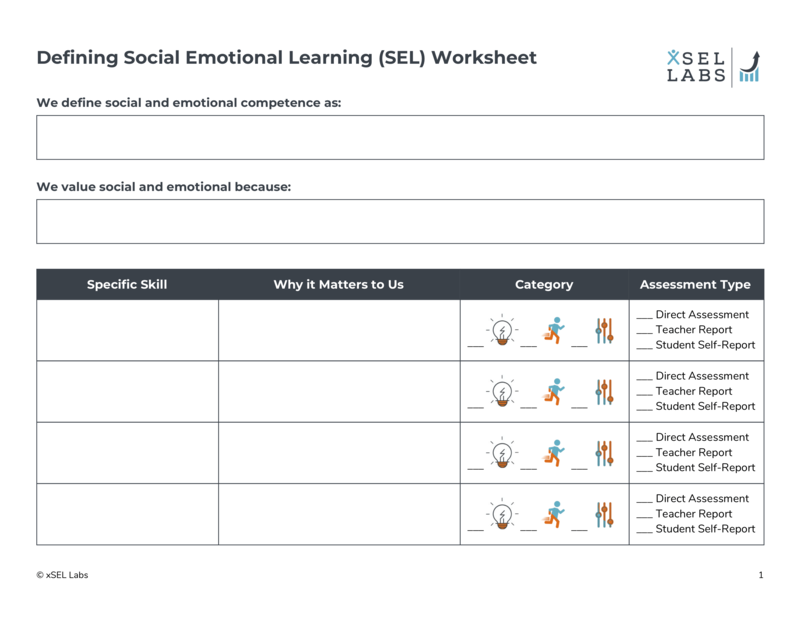 Using our Defining SEL Worksheet, write your broad definition of social-emotional competence and why you value it. Next, record the specific skills you will prioritize. Be specific. Instead of “empathy,” for example, you might write, “understands what others are feeling.” This communicates in easy-to-understand terms what the skill is. For each skill, describe why it matters. For example, perhaps it reflects a stated district value, such as nurturing global citizens. Or perhaps it is one way to achieve an important district goal, such as student engagement in collaborative learning. This will anchor your selections in why the skill is important. Determine whether each skill is a thinking, acting or regulating skill. Record this on your worksheet. This will help you determine the best method of assessing the skills you prioritize. Consider and record which assessment approach you will use to measure each SEL skill. Gather and incorporate feedback on your teams’ SEL definition from members of your school community. When the definition is ratified by the team and school and/or district leadership, communicate it early and often to ensure that everyone is focused on the same goals. We’ve developed a worksheet to help your team define the SEL skills that are most important to you. We hope you find it helpful as you work together to clarify what SEL skills matter most to you and your school community. Our mission is to improve student outcomes by helping educators understand their students’ social and emotional strengths and needs. We want you to succeed. As you do this work, let us know how we can help you clarify what matters most and how best to assess it.